Get service when you need it at Jason Armstrong’s Huntsville Honda. 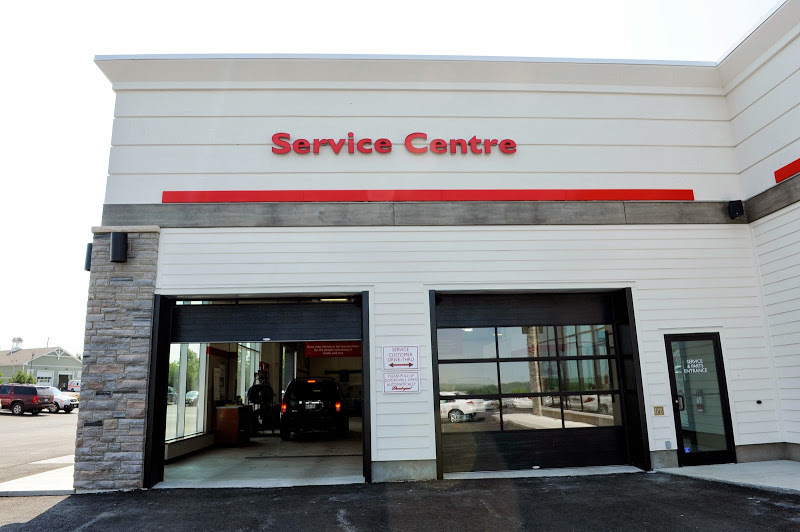 Our professional Honda Vehicle Service Centre is fully equipped to handle all of your maintenance and repair needs with six licensed Honda Certified Technicians, a tire and lube specialist, and an expanded service area which includes 8 bays to get you in and out efficiently. We offer a full range of services including car and truck detailing, windshield repair and engine repair. Our modern Service Department offers computerized diagnostics, computerized alignments, and everything needed to keep your Honda running in peak condition. If you find it difficult to stay on top of your vehicle’s maintenance schedule, we would be happy to offer maintenance reminders to help ensure your vehicle is running at its best. We offer Saturday service as well as FREE shuttle service for all of our service customers! Book your appointment online and get in right away. Why Choose Jason Armstrong’s Huntsville Honda? As a Honda owner, you want the best for your vehicle, and that means Genuine Honda Parts and Service. Huntsville Honda only stocks genuine OEM (Original Equipment Manufacturer) parts to ensure that your vehicle is repaired properly the first time. And only our factory trained Honda technicians know how the original operating specifications for your vehicle. And that’s not all, when you have your vehicle serviced at Jason Armstrong’s Huntsville Honda, you get guaranteed quality and peace of mind that you can’t get anywhere else. We are proud to serve the Muskoka region including Huntsville, Bracebridge and Burks Falls as well as North Bay, Parry Sound/Port Carling, Orillia and Haliburton, Ontario. Save yourself the headache of expensive repairs in the future, and come in for your Honda warranty approved oil change and express lube. A quick oil change is one of the most important services when it comes to making your vehicle last on the road. Take advantage of our competitive oil change rates and don’t put it off another day!